Oh really? I assumed they'd be like hens teeth! This is so true and this very thing happened just watching TV this week. 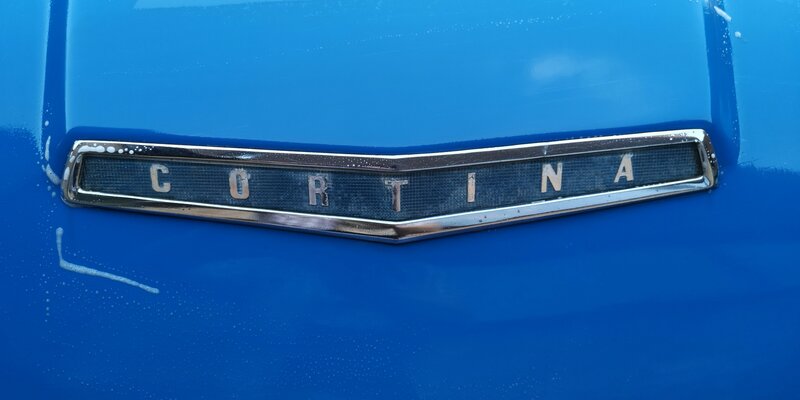 The other day when I watched that last Grand Tour Episode I mentioned on the forum Jeremy Clarkson was driving a Mk1 Lotus Cortina and while he was standing in front of it talking about it I noticed the worn Cortina Badge on the bonnet. The first thing I thought was arent these things worth a hundred thousand quid these days surely he could lash out on a new badge! I wasn't looking for yours to be honest as I didn't realise it was in it. What sequence would you have been in? Were you in the end part where they showed all the Fords arriving at the cathedral? Or in the traffic jam itself? They did some still work wit a beige totally standard looking Mk1. Anything other than totally standard was just captured in sweeping traffic jams and a few turning corners.